Riding great snow on the face called Venue. 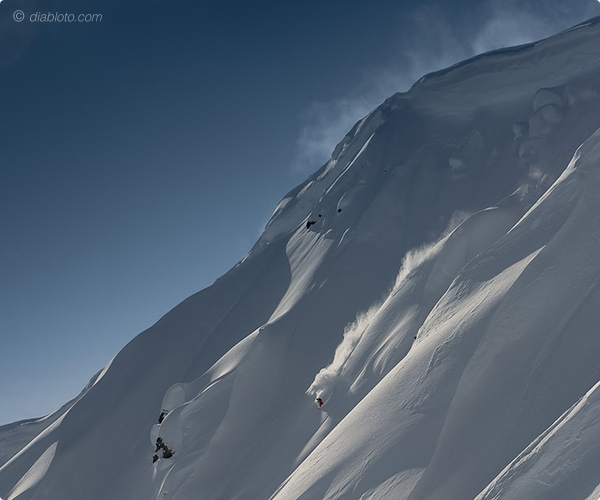 Finally I am posting these photos from snowboarding last season in Haines, Alaska. After a winter season with not much powder snow around I am really looking forward to ride fresh snow again somewhere, sometime. Hans Christian Gulsvik took these photos on an epic day. We didn't have much time and money to produce the pictures. Riding was much preferred that day. Hans was skiing with us every single run instead of shooting from the helicopter. Approaching the bottom of "Caffeine". Our start of the day. I was very awake after that run. Maybe you can see how stoked I am at the end of this run, we discovered that day. Snowmobile snowboarding with Mark Schultz. A local snowboarder from the first days.